Carmelo Camenzuli has set up an exhibition at Marija Immakulata Oratory, 58, Tower Road, Mosta. 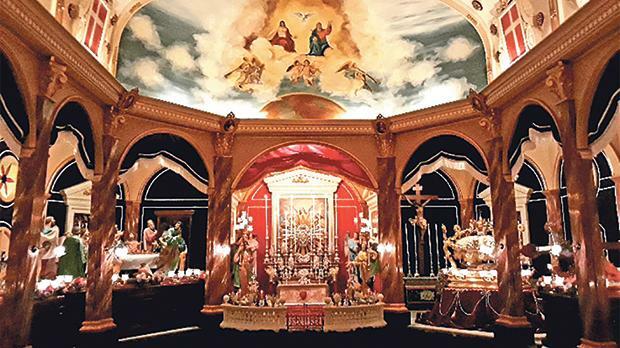 It consists of a model of the Mosta Rotunda designed by Pierre Darmanin and a set of 11 miniature 33-centimetre statuettes depicting personages involved in the Stations of the Cross, made by the late artist Noel Cauchi, each on mahogany bases. The statuettes are copies of those of the Mosta parish. The exhibition is open daily from 5.30 to 8.30pm, Maundy Thursday from 5.30 to 11pm, Good Friday from 10am to noon and 4 to 10.30pm, and Easter Sunday from 10am to noon and 4 to 9pm. 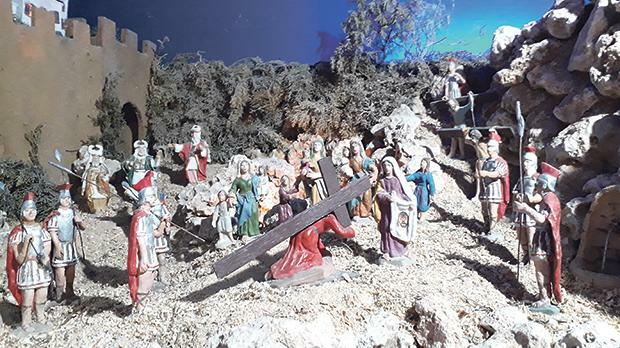 An exhibition depicting episodes from the Passion of Christ is this year celebrating its 35th year since it was first set up by Joe Cordina at 3A, Villambrosa Street (corner with St Joseph High Road) Ħamrun. Maltese clay figurines are placed in tableaux resembling episodes from the Passion of Jesus, on a structure of natural rustic rock. Everything is built in the manner of a rubble wall and the whole structure is like a crib with valleys, hills, caves, trees, pathways strewn with sawdust for the figurines and streams of running water. Some of the figurines were made by Carmelo Agius of Pietà, specifically for this exhibition. Then when Agius passed away, Cordina started making his own figurines. The exhibition is open daily from 6 to 8pm. 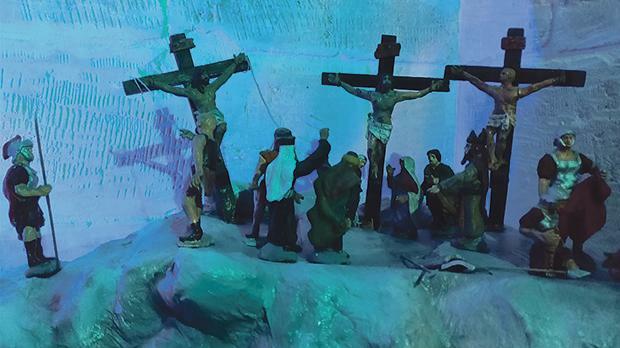 The seasonal offerings at Il-Ħaġar museum, Pjazza San Ġorġ, Victoria, include a “Golgotha” display. A room on level 2 has been turned into a representation – through the use of some 100 clay figurines – of episodes in the Way of the Cross. One can visit this traditional display during normal opening hours – 9am to 5pm, seven days a week ­– until Saturday. Entrance is free.